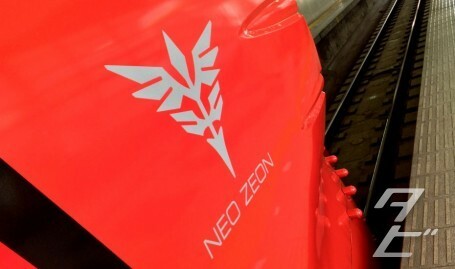 Tubbygaijin.com » Nankai Rapi:t, 20th anniversary Neo Zeon train! 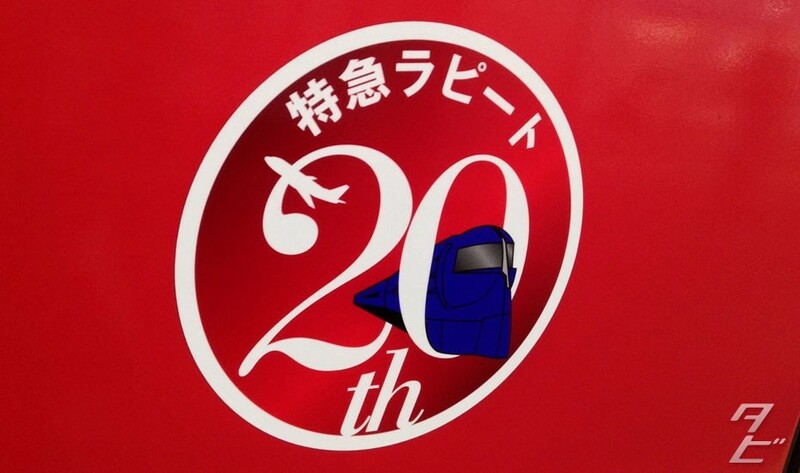 This year, the awesome future-retro Nankai Rapi:t train, which runs from Osaka Namba to Kansai International Airport celebrates it’s 20th anniversary. 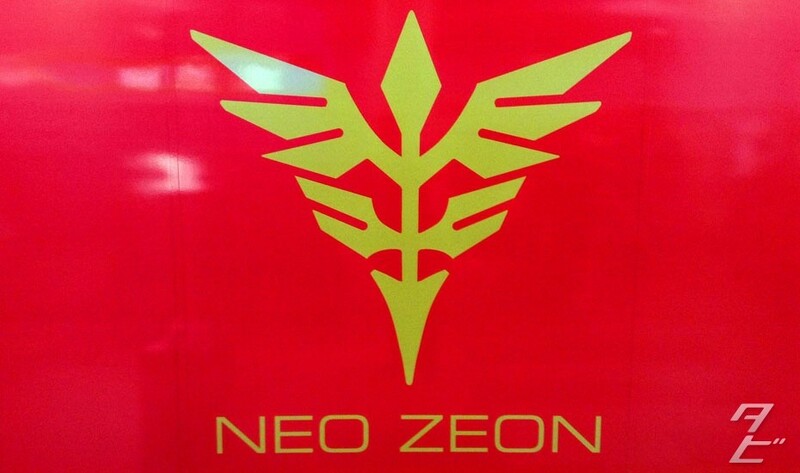 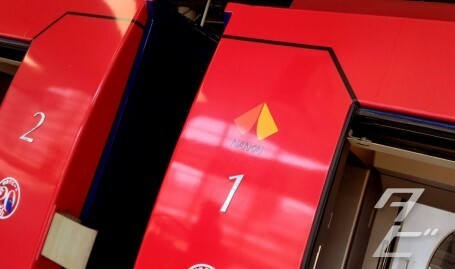 For the past six weeks or so they’ve been running special services in conjunction with Mobile Suit Gundam Unicorn, changing from the usual dark blue exterior to a deep red to match antagonist Full Frontal’s mobile suit. 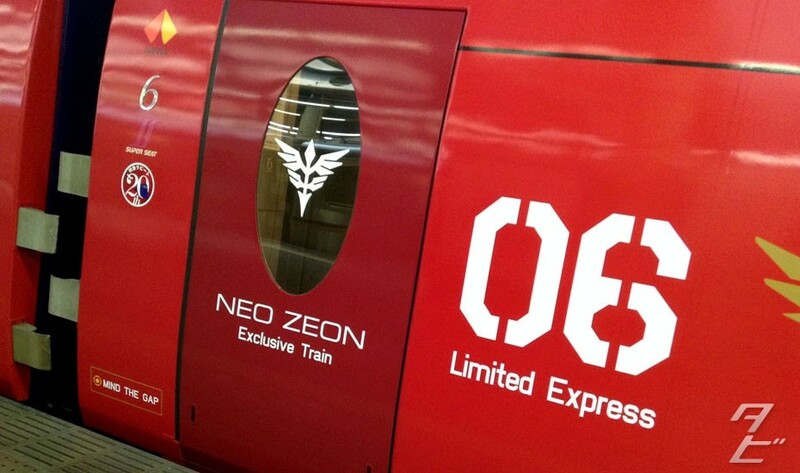 The outside looked fantastic, covered with various Neo Zeon related decals and detailing. 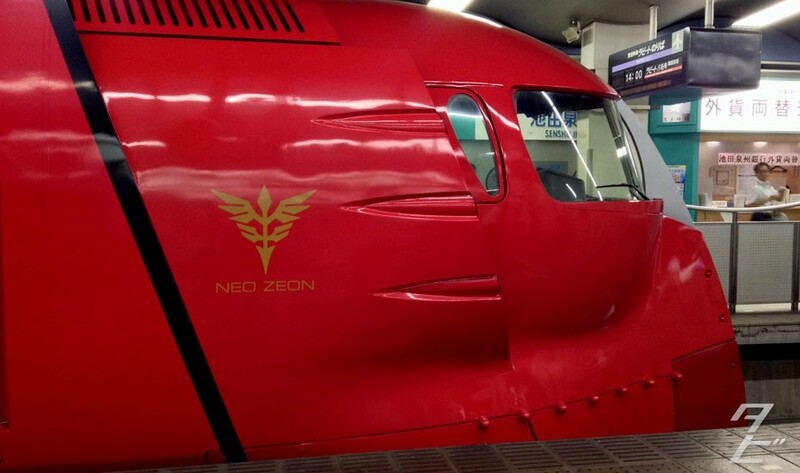 But as great as it looked this isn’t a paintjob, rather a very well done vinyl wrap, so sadly it was never going to last a long time. 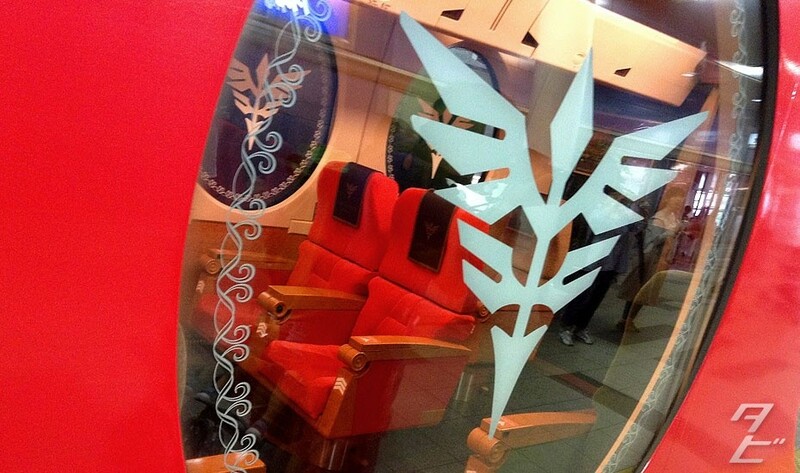 The first carriage had these three exclusive seats, designated for Full Frontal, Angelo Sauper and Mineva Zabi. 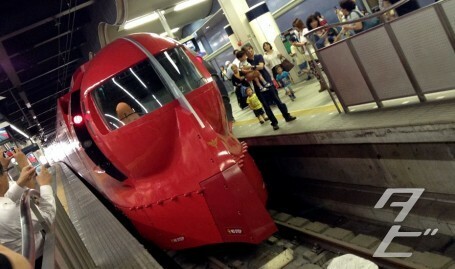 Too expensive for me! 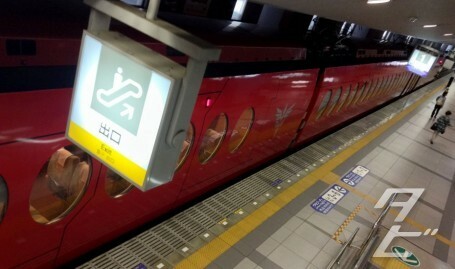 Having wanted to ride the train for a while, I grabbed a ticket for KIX(Kansai Airport) – ¥1430 and jumped on board. 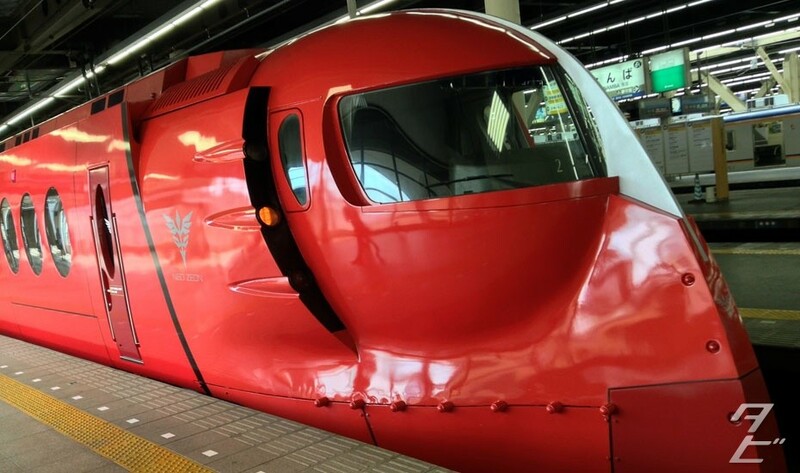 I haven’t been on a high speed train in Japan since I visited Nagoya at new year, smoothly zooming along was a nice experience and hugely different from the rumbling rolling stock that serve Osaka city. 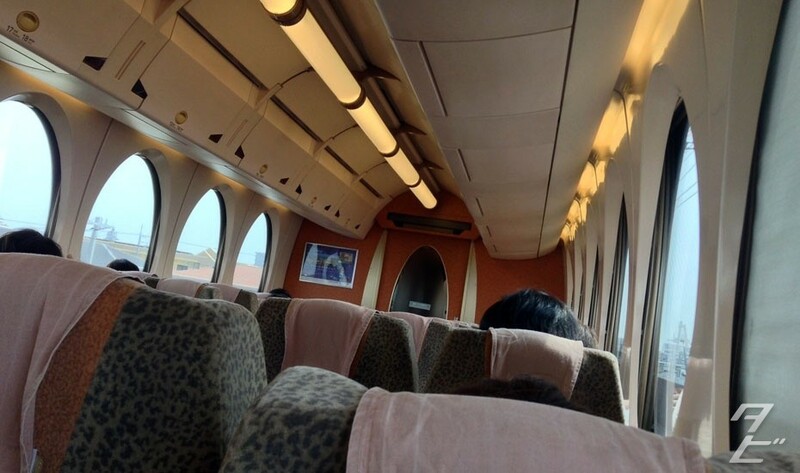 Those huge oval windows give you a great view, although admittedly there’s not much to see on route until you hit the bridge out to the airport island(KIX is a gigantic man-made island in the sea!). 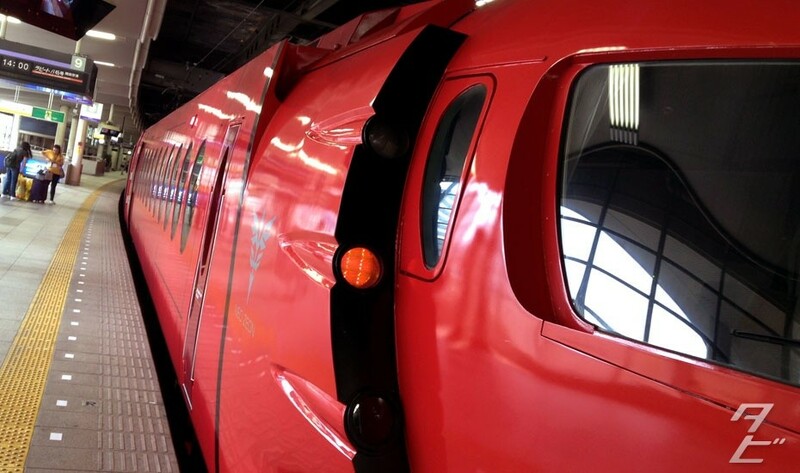 Too bad when I arrived at KIX the weather had turned bad… originally, I’d planned to do a bit of plane spotting from the observation tower near the ferry port, but considering the weather I pretty much just turned around and went back to Osaka – just on a regular train this time!